I was recently pointed to the HSE's Healthstat facility on their website, which I had completely missed. It provides an excellent, up-to-date guide to the performance of our hospitals - and in some detail too. 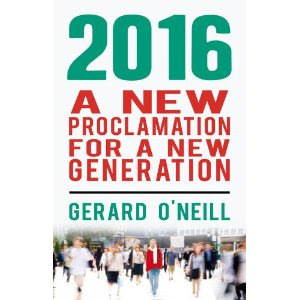 Take, for example, the recent furore over sick leave in the public sector. 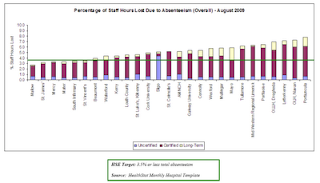 Healthstat shows the monthly incidence of sick leave in each hospital and whether it is certified or not. 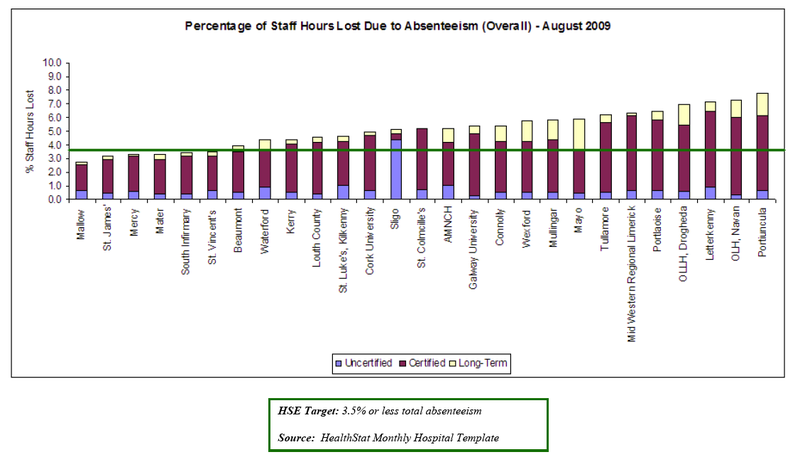 Intriguing to see that Sligo hospital a) has an above average level of sick leave (though not the highest), and b) the sick leave is overwhelmingly uncertified in contrast to all other hospitals. It might be an aberration - but if it's not then it's the kind of thing that can focus a health service manager's attention on the priority problems that need fixed. Which can only be done if you have the statistics to support your decision-making. I never thought I'd say it but - well done HSE. On Sligo, here's the stats for July. I can't find other docs. Anyway Sligo is back to normal. Your point stands - there's nothing like evidence - but this must have been a recording error.